Thirteen photos of the dying days of colliery steam at Whitehaven - it finished in 1975 - the Corkickle Brake incline, and two former Whitehaven locos which survived into preservation. Charles, Ladysmith coal washery, Whitehaven, 9 June 1973. A very battered Hudswell Clarke 1778 / 1944, subsequently scrapped. 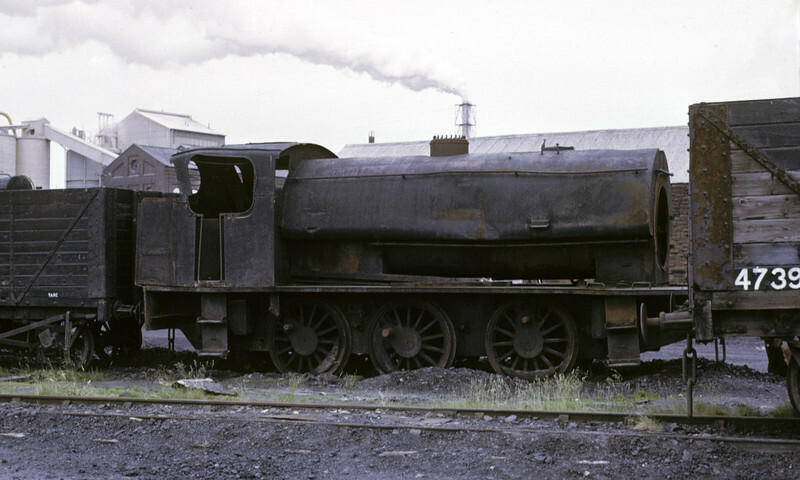 It had previously worked on the NCB's Walkden Rly, where it had been the first of several locos to be fitted with a Giesl ejector in 1961 to reduce black smoke. Photo by Les Tindall.